Ltd. Tamiya model Planning Department design room joined. Responsible for the approach and publicity to the various media in parallel with the same department of the business. Until March 1987 January to 1994, who is also the personality of the TV program “Tamiya RC Car Grand Prix”. Then, he enrolled in the Square (now Square Enix). Co., Ltd. Jay game founded in 2001, through the Rakuten, Inc., belonging to the company’s research and development department Akihabara Research Center as CHO (Chief hobby officer) of the Corporation UEI in 2012. 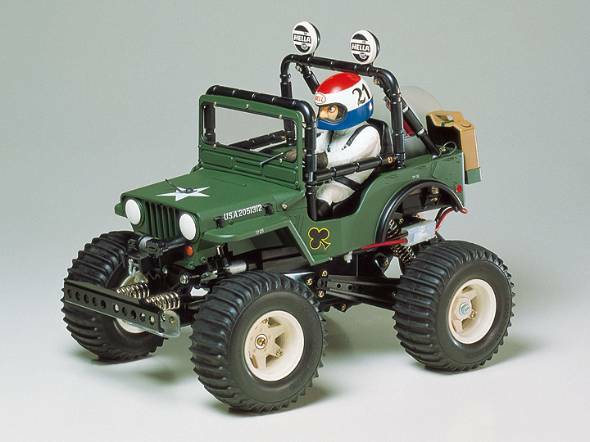 It was introduced last time about what four wheel drive mini boom is how happened, but the height of the product quality of Tamiya is its maker was one of the factors. So why is this time to make the product development having excellent Tamiya, I would like to touch on the background. In the last of a series of articles , about what went finished in how the four wheel drive mini boom, was to talk about the behind-the-scenes from the point of view of one person concerned. “Not a toy, was Tamiya” One of the factors of success in it said that from. So this time, high-quality and how the company is that Tamiya, and whether doing product development rich in creativity, I want to touch on the background. After joining in Tamiya, the Planning Department design room that I was assigned, was followed by assigned destination training and weekly challenges even after completion of the new employee training. The camera training of preparation for interviews and product photography, not only to the procedure of the shooting, the development of in the dark, solid grilled, is hammered to the paper baking. Weekly challenges, drawing + wash, lettering, had to submit a newspaper advertisement manuscript of Li layout, black-and-white photographs that were imposed a theme. 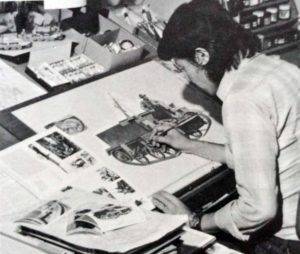 The submission destination, as an advisor of the design room, produced the all design, such as package design from the star of the mark of the logo, Tamiya of ci (corporate identity) was established Tamiya Tokuotto (Masao Tamiya) ‘s teacher. If the challenge of the can’s not so good, but scolded been caught off pillar painfully, I was able to get injects its know-how and a sense in front of the eye, it is to be shown an interest in anticipation of a few steps away given the opportunity as “doing take a”, was a presence, such as a parent who then tries to stretch the talent of one person one person staff. And direct relations between the apex and the base involved in the creative, depending on the environment to try to properly raise the working level, to the end of the field, “Tamiya design” is was going to be filled (emphasis). Here, in addition to also super-realism of illustration that symbolizes the Tamiya of the product package is produced, slide mark production of and decal (seal to stick to the model immersed in water), a comprehensive catalog, document photo book, including the Tamiya news print of the original production and editing is performed. 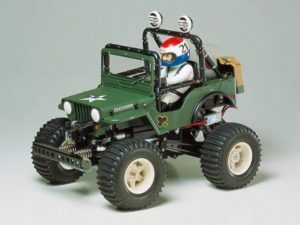 In addition, ID, such as a finish-up of RC cars and the four wheel drive mini body design (industrial design), have boasts also human resources in charge of the venue layout and display of such events and exhibitions, Tamiya product planning, print, promotional a set of artwork related to was the has worked consistently. 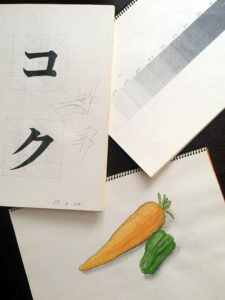 Design room, mold making, wooden production, such as the workshop, artist management of other departments are also education from scratch in-house, there is also because the seniority of in a good way still remained, familiar to the range of craftsman framework, such as Ikeru and was equipped. While it comes to framework incidentally, in the set factory to package the finished molded article (part), but he quality control room to inspect the deliverables from the molding plant in carton unit, scratches and dirt, as well as to the specimen and return all to point out the administrative state of the mold, even in only been traces of mold release agent, such as invisible and do not rely on a little light (after) is confirmed. This work is on the road that passes through in new employee training, the essence is injected to determine the molded article. Here, most of the employees he can be provided with the eyes to see severely the state. Tamiya of branding, with the unlike it after that trying to build contemplates the brand, that has been established by the corporate culture and corporate qualities serving these stringent, some years while hear the status of the other companies and other industries it was realize the have passed. As an aside, package illustrator of the design room for the author, it was one of the “star staff” in the department. In the first year rookie, every morning, also of white porcelain paint dish what tens of illustrator team has used the day before, put water, firmly wash the brush kind, tailored to each of the bench until the morning meeting of 7 hour 55 minutes from the start of apprentice task that leave had been the current natural. While continue this, there was also the date of thinking of such as “Will come the day when one day I also maker of package illustration?”. However, the stain on the body can not skill to keep up in less than half a year, is overwhelmed by the degree of perfection and speed of our predecessors that can work, had just sunk and confronted him. The author I was falling behind obviously. Every Monday morning, the announcement by one staff (talk) had been imposed in the rotation. Document to be prepared with the topic, which were free as long as it is related to the design room of business and industry, and not well organized rookie nor uniform veteran, was shot down and plunged in the haste to Tamiya Tokuotto teacher It was. The announcement of our predecessors, and what you want to share the trend of domestic and foreign third-party products, but discussion of concerns within the industry there were many, because the author of the rookie no stock of what knowledge, at the time of designer brands and daily necessities manufacturer of customer acquisition for goods, raking a novelty, verification of its aim and promotional effect, such as cited PR measures in the case of approach to the media If you find the new book magazine, did dare heresy proposals. A period of time, was ordered to accompany the sales department responsible for the wholesale and secondary stores on a monthly basis. To understand the other companies’ product information and sales activities, because feedback towards the design room and design room has been obtained. Because now that can not be or take a quick in the smartphone so, while taking notes in a single-mindedly “sneak mode”, I had to copy the company’s product information (printed matter) to be supplied to the retail store. In addition, other companies of the box plate of just negotiation has finished (Hakoita: package sample) and white box: borrowed until (Shirobako sample of products that are not contained in the makeup box), in Kikikon a wholesaler evaluation of each company’s products directly, the and report to the company by exposing the harvested tangible. Spy was just like. Not knowing you what is evaluated, was moving in the momentum to go pick up all the information that lying to wherever they go. After a while, that was supposed to be in charge in parallel with the day-to-day business was a media support. Tamiya product of the shooting for the finished product was the Design Office jurisdiction. Because I was doing the window of the loan request from a variety of media, different like I thought, “that either work to be angry When you are broken?”. To create a smooth path to the media and editors team, was a work that dare to spread the dropped far from Tamiya of information. Characterize and media strategy of products at the time of the toy maker had waged also was envious a concern for me. NES (game), while that was also gradually beginning the movement of media strategy, media strategy of Tamiya is poor, and I’m lost in this industry to be able to expose the same about the model in the same table as toys and NES, cocky even It was arbitrarily considered. So First of all, we started from the relationships making the model professional journals and RC car magazine with a friendship for a long time. Especially in Ida Akiraro’s “Model Art” (current chairman), nothing thanks to the author in the publishing situation was also taught me to frankly speaking also edit circumstances did not know, various theory went down to off. Next, in the production that you want to edit the mook, such as Encyclopedia series, which had been published in another genre of hobby (this in the middle of the magazine and book), because the movement of the information is accumulated new book is released was remarkable , it poured into the news and often Oho. And, and high hobby planning and affinity magazine, and will be able to directly approach the models and radio control to personally favorite editors, is asked to directly touch the pre-launch of the finished product handling the impression in the publicity frame which I was asked. This is soon, will become a model of the finished product tailored to the special features of the medium (modifications) and diorama was manufactured by Tamiya side, it to be come true-depth collaboration, such as the magazine deployment. In the barter of the report article, provides a test kit of pre-launch of the RC car to publishers such as a plurality of automobile magazine, each editorial department get Kyoji to race over the Pride “press against race” is also around this time I was planning to expand from. Result is also rising tension of the editing work as was good publisher, it was found that going up to ensure interest in models and RC car in the editorial department. Model = There were also purely show planning that it is a display …, more active RC car also in pictorial is uke is well, began to get even treat high interest as a target for coverage. Until Shizuoka Tamiya circuit came to be commonplace done also get interviewed by expedition. At this point in time, but not lead to to get an direct impact on the elementary school students and young adults of the market, compared to up to it, the exposure of information about the Tamiya RC car has increased dramatically. It started see a popular swell to the RC car in the market, also increases the image as a main product of Tamiya, will lead also to the airing of the TV program “RC Car Grand Prix” (October 1984 ~). Equity bill does not, such as infrastructure, such as can be news delivered in person. Author as one person in charge of the manufacturers, and to bring the information before the public hear the various editing part, many will be welcomed to tolerance, Ya opinion to the products that which mixes the publishing industry and the editing of the circumstances It began to get let the request. By moving more to steady the propagation of product information to take an appointment to the publisher, it was also often was era what you get. 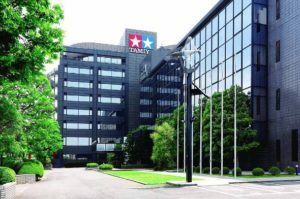 It will be public relations department also Propaganda Department is at the time of Tamiya, began to use the author goes on for a while so as to visit the publisher and its affiliates and the business card seems to it that the “publicity department design room”. Because it was a classic publicity activities such as to Oho to multiple editing unit as efficiently as possible in the business trip of the day, to Tokyo from Shizuoka, multiplied by the RC car bag of finished goods entering the shoulder, lower the material set in both hands Shinkansen I got into. Many case, business trip became the pace of two to three times a week. Despite the suggestive business card, because it does not ask them to grasp any Nante advertising budget, with a pure publicity that you disconnected all the AD (advertising), how to “model” to effectively expose, each of the readership I was struggling or get interested in. Of course, or it is Monzenbarai at the stage of the approach, as soon as I found that not a story of pre-neatly even each other to convey the purpose advertising, was also or is leave hit the suddenly tongue. There were various, contact with many who have publisher editing, publicity, from the members of the ad, that to be able to know ask the marketing measures and the know-how of the media by (another target), it has been useful even now there are many. On the other hand, from the editor-in-chief of a magazine there was a thing called “It seems Mr. Mikawaya”. Rather than was called in the trade name of the Kabuki actor to see the face, was the meaning of the order-taker. With the understanding all of here purpose, is Rowa a thing survive more than advertising, it was told me to come in every month regularly. It became a word to tackle with confidence to this work. In fact, intended there AD by Ki of collaboration was same cross-sectional. It does not stand also reason to produce cooperation if it is not planning of the editorial department the main drive, if advertising odor is applied to the planning of the Hobby genre, because good in both image had been considered not to arrive. 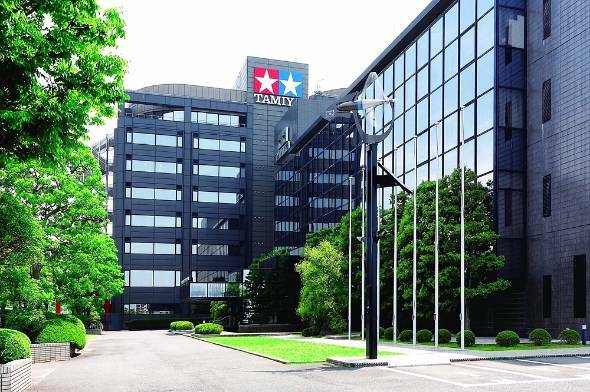 Tamiya had done a planned advertising in the timing and the medium to put out, but the production cooperation multiplied by the cost far greater than the amount in terms of advertising costs had many times. Even in the publicity, it did not rather pull out the hand. Would recall with but, at the time of these activities in Tokyo, 9:00 in the morning out of the Shizuoka Place the luggage contained in the Tokyo advertising agency, was there to base. Return is usually not ride in the final of the bullet train, now was a pattern to get to 26 o’clock in Shizuoka on the other missing Tokaido Line Ogaki bound for. When I missed in it, Have put on the car of the editor of the automobile magazine called the next day there is a coverage at Suzuka, was sometimes get down in Shizuoka Inter dawn. Anyway, had to be the office is also in 55 minutes at 7 what happened. If a request or response from the Oho destination of the editorial department and the editor is fed back to the soon Tamiya Tokuotto teacher, flew instructed as one after another arrow. Directive to other departments flew. Heavy internal adjustment to underling, such as the author, which joined to Less than many years, became often get moving with the entire design room. Imperceptibly “publicity” is the other departments, the company, went involved. This entry was posted in Media, Tamiya Company, Vintage on August 22, 2016 by admin.